De LDG Y-ACC kabel is nodig om de FT-857 en FT897 aan te sluiten op een AT100ProII of AT200. The Y-ACC Cable is a low-cost alternative to the One Touch Tune for the FT-857(D) and FT-897(D) radios when interfacing with almost any LDG Autotuner. 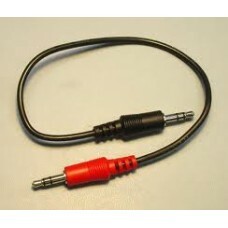 One end plugs into the radio and the other end into the autotuner. To operate, you simply press the tune button on the autotuner and the radio transmits a carrier while the autotuner proforms its tuning operation. When the autotuner has completed its task, the radio carrier is turned off and it returns to its prior operating mode.